What is DISC; what is DiSC®? Have you seen DISC profiles for sale that seem different from each other? Is the difference more than a lowercase i? Yes. Is the Disc Index different from the DiSC Classic? Yes. It’s important to know which assessment is actually under discussion. They are not all the same. When you see claims that millions of people have used DISC, don’t assume that millions have used the version you might be discussing or considering buying. The DISC model is not protected by copyright. The DiSC Model of Behavior was first proposed by William Mouton Marston, a Ph.D. psychologist from Harvard. He did not create an assessment tool himself, but others have used his model. Several academics and companies have used his work to create their own psychological inventories. 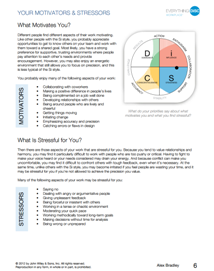 Various colors might be used to differentiate each personality type. Questions should be easily and accurately answered. You can see how this would be hard to answer. Many DISC tests and DiSC Classic use this type of forced choice or ipsative questionnaire. Other questionnaires will use a Likert scale where you rank each item on a five-point scale from “never” to “always“ describes me. Or the scale will show choices of “strongly disagree” to “strongly agree” with the statement. Look at the number of questions being asked. A 70-item questionnaire is more reliable than a 20-item questionnaire. An adaptive testing tool which tailors questions on past answers is currently used by Everything DiSC profiles making them more accurate and even easier to answer. 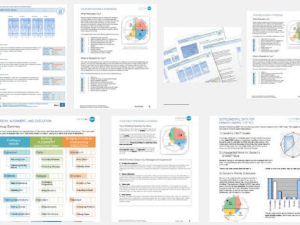 Examples from the DiSC® profile questionnaire. You can’t do much with a report that gives you only a page or two about your results. The real power of DiSC is in both what it teaches you about yourself and what it teaches you about interacting with others who have styles unlike your own. Reports should be easily read, memorable and accurate. They should take care with language, presenting all personalities in a balanced manner. Reports full of charts and graphs can be interesting, but they also need to be memorable and easy to interpret. If you hear people criticize DISC profiles for lacking reliability or validity, they are almost always referring to issues around the presentation of an adaptive style. After multiple attempts, researchers at Inscape Publishing (now a part of Wiley) were not able to validate the adaptive style graphs; therefore, they were abandoned. We recommend reading the full descriptions for the four styles with an eye toward the language being used. Would a C reading about her style feel like it was harsh and judgmental, or accurate and affirming? Would an S reading about his style feel like he was reading about a pushover or would it feel supportive and clear? Curious about what goes into creating a new DiSC profile? Read How a new DiSC profile was created: DiSC Work of Leaders. Do you want your participants to be able to continue using DiSC insights after they leave the conference or training room? 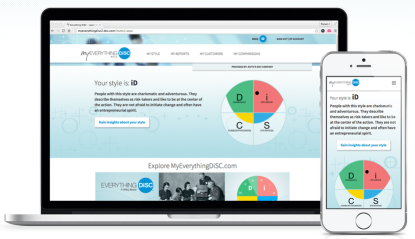 MyEverythingDiSC is a personalized learning experience that allows learners to gain deeper insights about DiSC and the people they know. Reports and more are always available to participants from their own laptop or mobile device. The best versions of DISC will have support for people delivering the profiles. 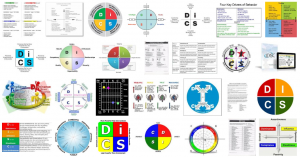 Not each variety of DISC has training materials available. Some want you to use a consultant to deliver and interpret results. Hidden costs can include up-selling. In other words, some companies will use your contact information to try to sell you additional services or coaching you might not want. 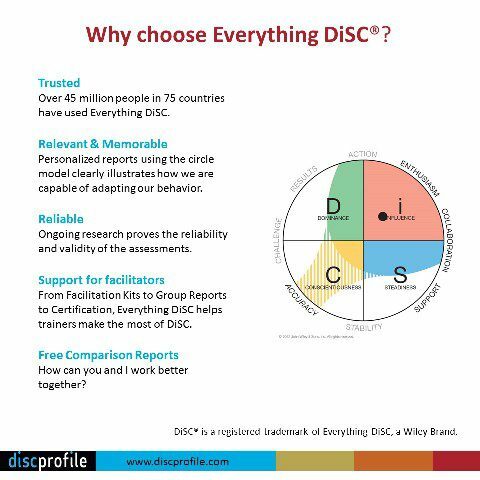 Look for this image when shopping for the most reliable, memorable and well-researched DiSC profiles. Wiley is the world’s leading provider of DiSC-based learning solutions. If you want an assessment that provides value to the person who takes it and for your organization, then you want a profile that gives accurate results, is memorable, and challenges the people who take it to adapt their behavior based on what they’ve learned. You want a tool to improve communication, leadership, salesmanship, and teamwork. You want Everything DiSC.